Where Do Educators Turn for Research into the Effectiveness of Technology Tools? A new survey published today reveals that classroom teachers, administrators and other professionals in education turn to a wide variety of sources for research into the effectiveness of technology tools but that they don't believe that some of them are particularly "well equipped to conduct reliable ed tech research." 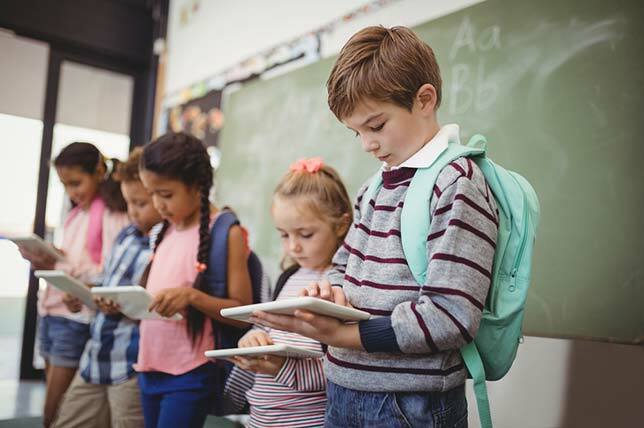 The survey, conducted by two education nonprofits, found that 63 percent of participating educators believe nonprofits are among the "best equipped to 'conduct valid research about the effectiveness of different ed tech tools and disseminate those findings.'" Educators also seemed to express trust in research organizations (65 percent) and schools and districts themselves (67 percent) to conduct such research. The survey was conducted by the International Society for Technology in Education (ISTE) and the Jefferson Education Exchange (JEX). It involved 1,100 educators. Among the other findings, educators are most likely to turn to media outlets and ed tech vendors for information about education technology. But they don't necessarily find the information from those sources reliable. According to information released to coincide with the report: "The Education Research Perspectives Survey, based on a survey of more than 1,100 teachers, district staff, school administrators, and technology leaders from all 50 states, found that vendors and media outlets were among the most frequent sources of ed tech information, along with general web searches. However, less than one-quarter of respondents (24 percent) believe that ed tech vendors are well equipped to conduct reliable ed tech research, and just 10 percent believe so for media organizations." Both ISTE and JEX issues statements calling for a concerted effort to deliver data that can help educators make informed decisions about the tech they purchase. "The results of this survey reinforce the need for new approaches to gathering and sharing reliable data about education technology," said Bart Epstein, CEO of JEX, in a prepared statement. "Many educators seek better and more objective data about ed tech — but often struggle to navigate a complex, fragmented network of information. We look forward to collaborating with educators across the country to develop new strategies to address this challenge." "Educators and students alike lose out when it's unclear which solution works best for a given classroom or learning need — and when it's hard to find reliable research to make informed choices about ed tech," said ISTE Chief Learning Officer Joseph South, also in a prepared statement. "This survey points us in a direction towards what resources need to be made available to schools and districts. It's time to work together to close this gap." 64 percent discuss ed tech research in planning meetings.